↑ Discogs lists the catalogue number as 5144260752. ↑ On ABC's online shop, interviews are mentioned after the track-list, but aren't numbered, and for that reason are not included in this number. ↑ a b c d e f triple j - Hottest 100: Vol. 15 - 2 CD Set. Australian Broadcasting Corporation website. Retrieved 2011-09-30 from shop.abc.net.au. ↑ a b c d e Various - Triple J Hottest 100 - 15 (CD). Discogs. Retrieved 2011-09-30 from www.discogs.com. 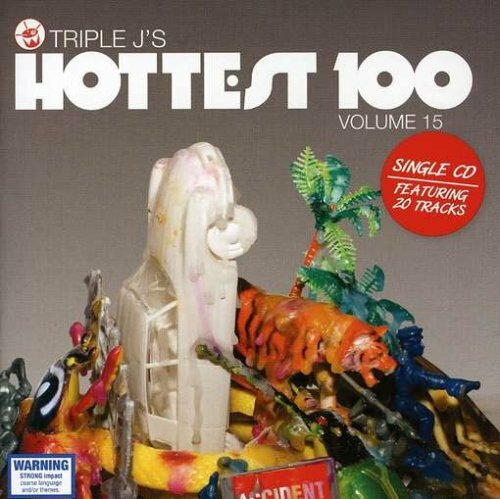 ↑ a b Triple J Hottest 100 - Volume 15 [Australian Import]: Various Artists. Amazon UK. Retrieved 2011-09-30 from www.amazon.co.uk. ↑ a b triple j - Hottest 100: Vol. 15 - DVD. Australian Broadcasting Corporation website. Retrieved 2011-09-30 from shop.abc.net.au. This page was last edited on 1 October 2011, at 16:56.